Behind those simple words, I sensed she was looking for role models. And Sheryl Sandberg image flashed in front of me. As I dropped my daughter and walked back — I wondered why Sheryl was my option A.
I grew up in South India. I often saw a younger version of my mother in Indra Nooyi, CEO of Pepsi. That fits. She personifies what hard work and good luck can weave. If Indra is a phenomenal immigrant story, Sheryl is a precursor of what is to come. Few months ago, my eight-year-old daughter’s friend was sick. It was an important day in school. Their innovative, second grade teacher invited the parents to class to hear the kids recite poems. Each student did two. One poem of their own creation — all alone on stage. Another was an existing classic — a presentation with a partner. When it came to the joint poem — her friend, ambled by her dad, made it to the dais. The girls stood together. My daughter recited the first verse. Her friend- the second. My daughter the third and her friend was searching for words on the fourth. My daughter egged her — ever so softly with the words inside the last verse. That balance — is the wave of the future. 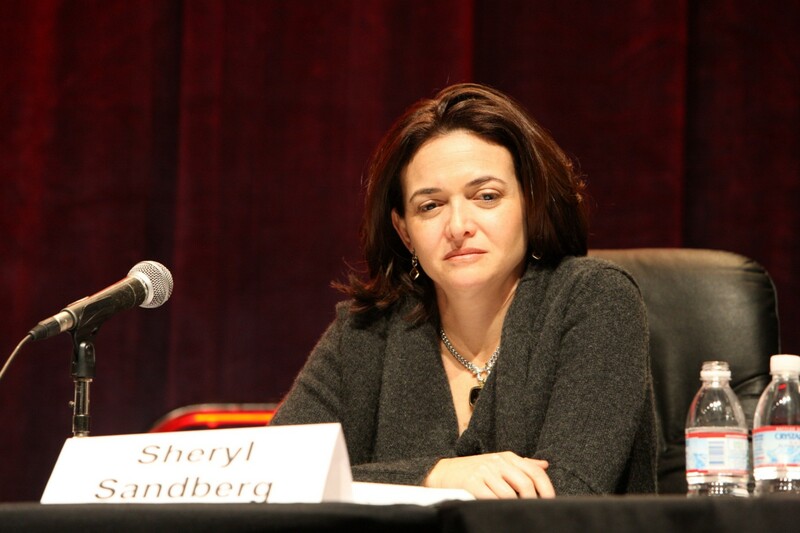 Sheryl Sandberg epitomizes that today. In her first book Lean In, she exhorts women to be their full selves at work. When she wrote that, the world was her oyster. Two years ago, it came crashing down. She lost her husband rather suddenly. She choked in grief. In her recent second book, Option B, she brought her whole self for the whole world to see. And the world noticed. There are numerous reviews of the book — Time and Fortune and USA Today and The Washington Post. Her biggest impact is her ability to grasp the gravitas of symbols. Symbols of influence –subtle, powerful that can change narratives for the better. There could be many through her words. Her best from her latest book — It is perfectly OK to talk about personal grief in office — without the stigma of being touchy and feely. Close your eyes, think about it for a moment — your own interactions at office. Today’s accepted norm for a grieving person in office is pretense. She leads the way to show the exit door for this pretense through her own roller coaster of emotions. She does it with aplomb in her new book. And holds her own. Even in a narrative with the contrarian Adam Grant — a magician who happens to be a professor at Wharton. By writing the book around her husband, she makes him live long in the memory of the world — for her children to hear. That is a lasting legacy. Permanence of words permeates life — her wise, powerful soul grasps it with dexterity that few of us can envision, let alone feel. And feel she does with conviction that gives vulnerability a new dimension. “Look up Sheryl Sandberg,” are my words to my daughter. Sheryl understands influence better than most. She knows how the world operates. She has this innate ability to communicate from her heart. And she balances what life throws at her. She embraced opportunities life gave her. She is willing to be vulnerable openly when tragedy struck her. She is comfortable in being who she is. And she is not working hard to fit in a man’s world with a pearl necklace. Life is about choices. I hope my daughter’s choices lead her to be better everyday from the day before — on her own terms, based on her own learnings. Somewhere in the background are the invisible hands of her family — applauding her resilience, cherishing her balance and enjoying how she carries her full self to whatever she chooses to do. A mirror to what Sheryl stands for — today.